A do-it-yourself approach to interior decorating can be a rewarding experience or it can become a frustrating, costly and time consuming project for a homeowner. Before attempting a decorating project access your objectives. You may realize that your time and money may be spent somewhere else. 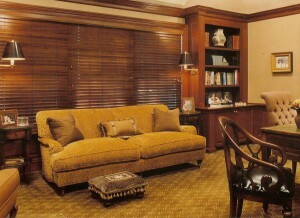 Having a professional interior designer can help you develop a cohesive plan and keep you from making costly mistakes. A professional designer can help you get it right the first time. Sometimes the homeowner is overwhelmed when designing their own home, they think they know what they want, but they can’t translate their thoughts into action. A designer can guide a homeowner to appropriate selections or help them define their wants and their tastes. Hiring a professional designer doesn’t have to be a scary commitment, most designers will give you an option to hire them for an hourly rate or will charge a fee for a consultation. I do not even know how I stopped up here, but I believed this post was great. I don’t recognise who you are however certainly you’re going to a famous blogger if you happen to aren’t already. Cheers! Thanks for your comment about our blog. Glad you like it . We will keep posting.